There are so many prepaid wireless providers out there now; it's truly unbelievable! It seems as though we're continually seeing consolidation of companies and brands, followed by the emergence of new companies and brands! Over the years we've also seen the death of countless prepaid providers, including everything from small carriers with new brands, to massive brands that you'd think would survive. It's truly like the wild wild west out these in the no contract wireless world. Some of these brands are divisions of the large postpaid carriers, while many of them are standalone companies or MVNOs. Trying to figure out which ones offer the different plan types that you're interested in can be a time consuming and irritating process to say the least. The good news is that all of this activity means a lot of options for consumers, as well as an extremely competitive landscape. In other words, better, lower pricing for prepaid wireless customers! Below is a table that summarizes the different major prepaid cell phone companies broken down by Prepaid Plan Type. Reviewing this table will be an excellent starting point to help you narrow down which carriers offer which types of services, as well as a good bird's eye view of the providers. As new programs are launched, and others are discontinued, I continually update this page, so please feel visit often. Think of pay-as-you-go as the classic plan where you pay per minute (a now quite rare plan). Daily plans allow you to get a specific bundle of minutes and services on a daily basis (another virtually extinct plan). Monthly plans offer you a bundle of minutes, text messages, etc., and finally, unlimited plans offer unlimited voice and text, and some allocation of high speed data on a monthly basis. Please keep in mind how much you actually use your phone on a daily basis so you don't end up over paying for a plan. Even though a plan sounds like a better deal, depending on whether or not you actually take advantage of the included services, the better deal may look good, but ultimately not end up being the most cost effective option depending on your particular needs. Lastly, note that there are government subsidized wireless programs that offer free cell phone service for households that meet the low income requirements. You'll see a link to more information, as well as the service providers listed at the bottom of the table. If you think you may be eligible, it's definitely worth your time to review the details! Read interview with CEO Daniel Neal! 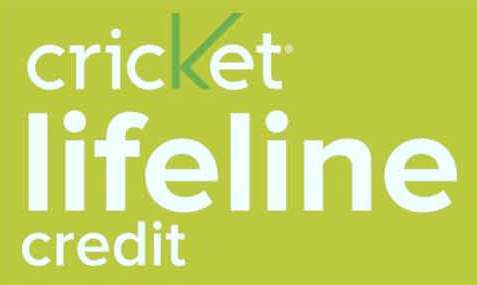 Aio Wireless Brand discontinued & combined with Cricket following AT&T's acquisition of Cricket. Learn About Cell Phones For Seniors! Learn more about How to Choose?